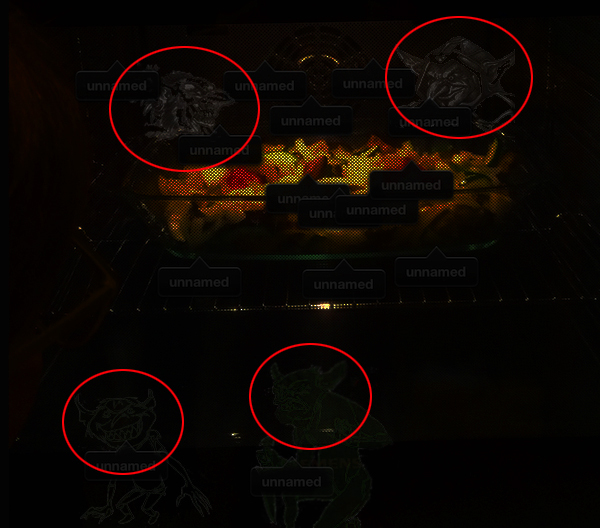 Iphoto is putting a high number of unnamed faces in pictures of food in my oven. It's not happening in other pictures, at least I can't see another pattern. Why is this happening and how can I avoid this? According to this Apple Support Document, images with blurry, badly lit, or very small faces may detect faces where they do not exist. iPhoto can sometimes detect the back of a person's head as a face. I notice that you've taken the photo through the oven's window, which has a semi-pixelated insulating reflective coating on the inside. Perhaps this kind of pattern, combined with the delicious foods behind them, makes iPhoto think faces are in the image when they aren't. This Apple Discussions thread discusses the inability to turn off face detection in iPhoto, but talks about being able to turn it off in Aperture. 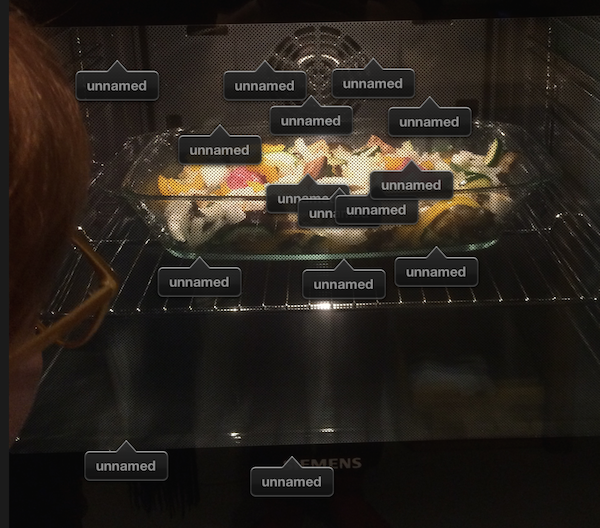 Unfortunately, other than marking each of these phantom faces and deleting their entries, or taking the photos with the oven door open, I think you'll have no luck fixing the problem. I have to admit I'm chuckling at these two images you've provided. iPhoto is not as wrong as one might think. While the two inside the oven are just interested in the food, the other two create the impression that they are up to no good outside the oven. So get a new stove because your current one seems to be irretrievably lost to the creatures. And don't always mistrust iPhoto presenting dubious results. Not the answer you're looking for? Browse other questions tagged yosemite iphoto . How exactly do I get Facebook to link my friends to iPhoto's Faces tags when sharing from iPhoto? Aperture 3 - Faces - Is there a way to change a person's name across all photos? How to search for pictures of two people in iPhoto?